We are living in a country governed by a generation that was told kids should be seen, not heard. With the exception of the few revolutionary lyricists and musicians of decades past, the idea that the younger generation doesn’t know what’s good for them, or their emotions aren’t relevant is ramping up to come swinging back like a wrecking ball. 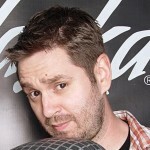 Adding the next installment of his generational statement, Andrew St. James has released The Big Ole Veronica Apology Record. While it may seem much of this record is pointed to heartfelt lyrics of an impassioned individual, if you don’t focus entirely on the lyrics, you’ll quickly begin to see the larger impression being left by this kid from California. To ignore the younger generations is not only ignoring those who are going to run the world when everyone else is old and unable to do anything for themselves, but it is to throw a shroud over a generation that is not just contributing, but has some amazing ideas. One such idea is Andrew St. James’ latest, which erupts in a menagerie of passion and chaos, soaring in a dance amongst soul-filled vocals while playing between analog produced tendencies that are pure musical beauty. The Big Ole Veronica Apology Record dances and weaves in vintage style while cerebrally captivating in lyrical prowess. Don’t see Andrew St. James, hear Andrew St. James. 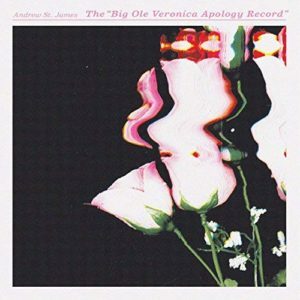 This entry was posted in Reviews and tagged album, Andrew St. James, Big Ole Veronica Apology Record, CD, review by Greg. Bookmark the permalink.